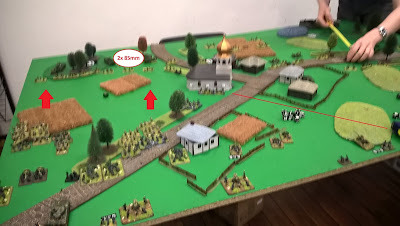 Mission Impossible: Attack Soviet infantry in Fighting Withdrawal scenario and win in 8 turns. Soviet company was deployed as two lines of Soviet infantry in the front line, on the right were deployed 3x KV-85s, on left smaller 45mm guns attached to infantry units. In the fields close to the middle 4x heavy mortar. Bauty decided to deploy his 2x 85mm AA heavy guns in ambush close to the middel too in gap in between woods to counter my Tiger and 7.5cm Pak 40s. 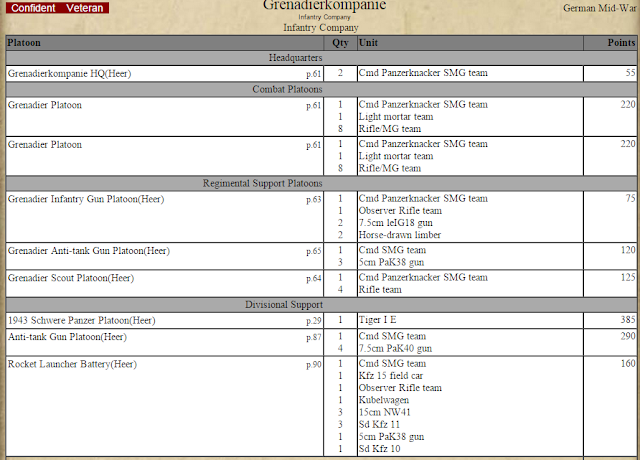 Soviet Infantry, 1650 pts, Eastern Front: 2x Infantry Platoons, 2x 85mm AA, 3x KV-85, 4x 120mm heavy mortars, 2x SU-122. German Infantry, 1650 pts, Eastern Front: 2x big Grenadier Platoons, 1x Tiger IE, 4x 7.5cm Pak40, 3x 5cm PaK38, 3x Nebelwelfers + 1x 5cm PaK38, 1x small Recconaisance Infantry, 2x 7.5cm lel18 guns. 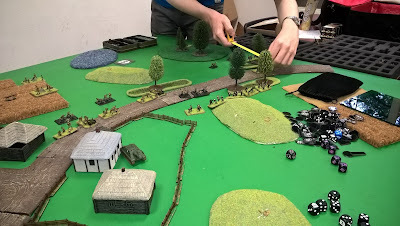 After first attack of Grenadiers with 85mm deployed. During first few rounds I have massively attacked on left with all I had, with support of 5cm 38 PaK38s on the right flank. Basically I have completely tackled one of the Soviet infantries as I didnt want to split my force. All went good when killing 2 KV-85s, 1x SU-122 attacking on my flank. Later on I have pushed both platoons of infantry to the attack on left flank. I hoped for eliminating last KV-85 and 85mm's by my Tiger and PaKs (KV-85) and Nebelwelfers (85mm). I got almost killed my reconnaissance when getting to the church in middle, then pull back with last man standing, leaving from table. 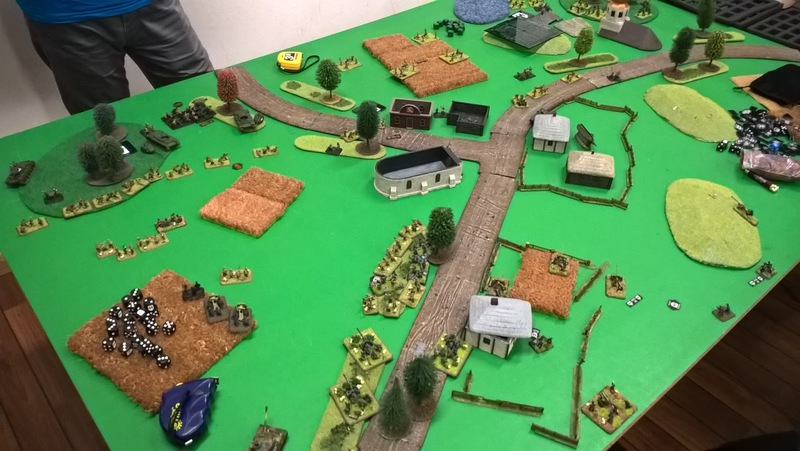 First infantry platoon on left flank not effective - they died except 3 teams. Second platoon got pinned and in the final assult they got 6 hits on 4+ on 9 rolls. In the end my infantry was so week then Bauty easily killed them by the rest of his force. Whole game was about lucky hits during the assault, but anyways I cant complain, as I did what I could. From my point of view it was not bad result and this army promissing. Only way how to change my force is adding assault group with here, so I will try and I will see what will happen next "harakiri" against Soviet infantry. 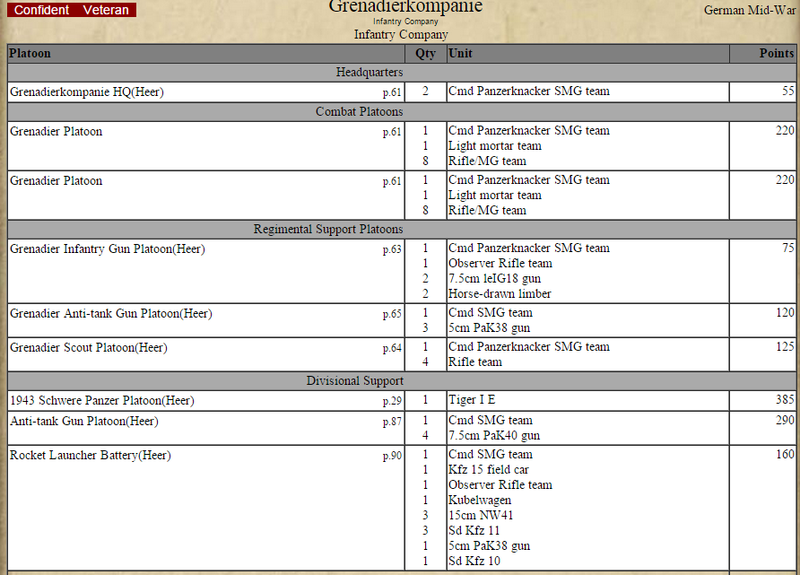 Grenadierkompanie, Eastern Front, MID WAR, 1650 pts. Let the strelk attack in FW? After all it would be a diced.You're gonna wish you had some MG's at that point though, mobile or manpacked. flames of war like a very interesting game. I don’t know what flames of war is, could you please post some information on it?